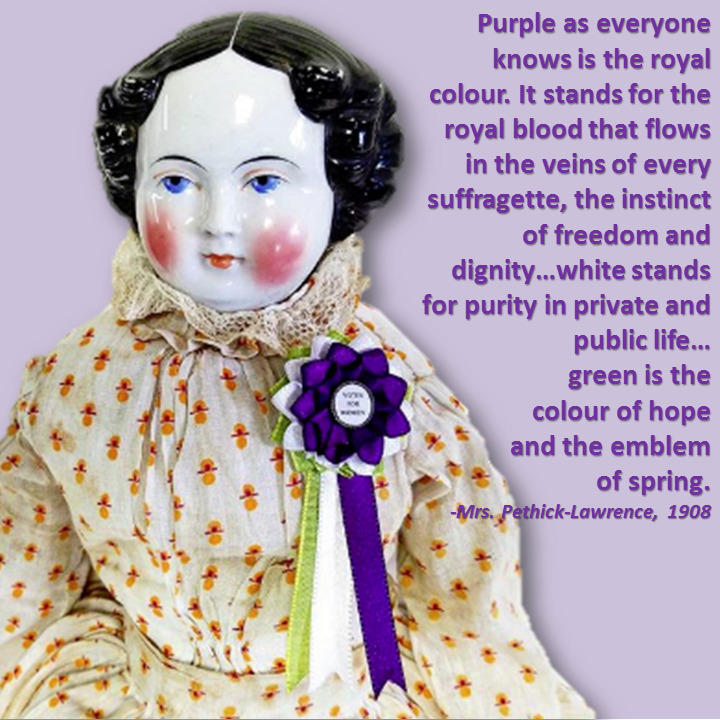 Help your doll campaign for women's suffrage! British women weren’t explicitly denied the vote until the 1830s, which prompted the suffragette movement. The movement gained traction in the 1870s and women were eventually given the vote through two laws in 1918 and 1928. Approximately 1" across rosette. Streamers are approximately 2" long. The entire cockade is about 3" tall. Choose backing style.